Falling or twisting the ankle, often during sports, can cause ligament injuries. An operation followed by several weeks of immobilisation used to be unavoidable in many cases. With modern orthoses such as the Malleo TriStep multi-function orthosis, an operation is often not required. Bearing weight and moving the foot is possible more quickly as well. What's more, the structure of the Malleo TriStep allows the orthosis to be adapted to the three different phases of healing. The ankle is specifically stabilised following an acute injury. Later the foot can be gradually accustomed to movements. All of this is accomplished with just one orthosis, which can be adapted to the respective phase in a few simple steps. The Malleo TriStep was developed in cooperation with renowned orthopaedic specialists, sports physicians, biomechanics, therapists and orthopaedic technicians. 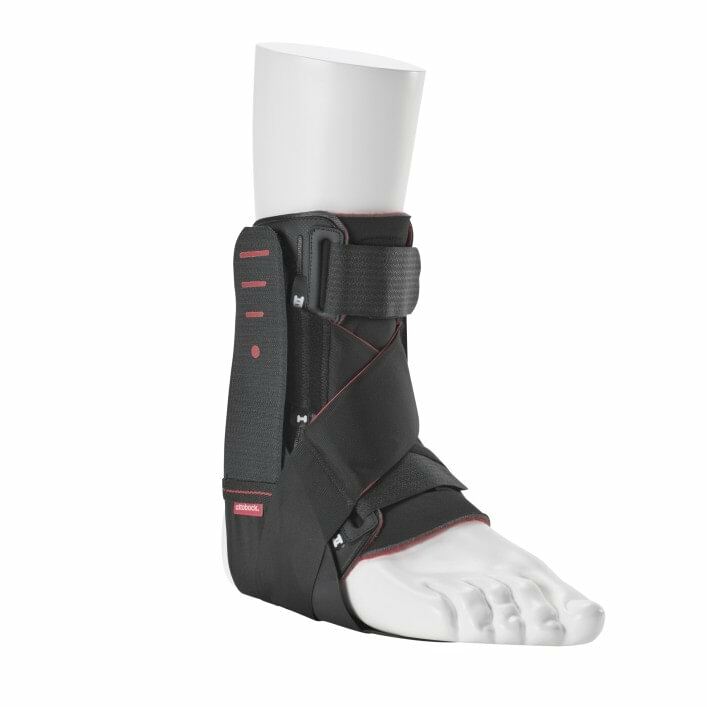 The footshell immobilises the foot and provides stability in critical phases, such as during sleep or in the acute phase. 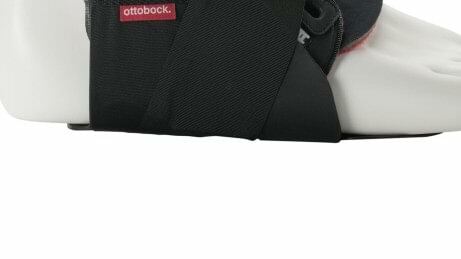 The stabilisation strap holds the foot in a neutral position (90°). In consultation with your doctor, the individual functional and stabilising elements of the orthosis can be removed in a few easy steps over three phases. This provides more individual and differentiated support for the various stages of the healing process. The especially developed Malleo Move exercise programme provides targeted support for the ligament healing process. The exercises are tailored to the three healing phases. You can easily perform them at home, but only in consultation with your doctor. The Malleo TriStep immobilises your foot in the acute inflammation phase (day 0 to 4, max. to day 14). Alleviating pain and reducing foot swelling are the objectives. You need to elevate the foot and cool it with ice in this phase. Your doctor will give you detailed advice. You wear the Malleo TriStep with the stabilisation strap and foot shell in this phase. During the day, it can be worn in a flat shoe that can be opened wide. In the new tissue formation phase (day 4 to 28), you do not have to wear the footshell during the day. The goal is to continue stabilising the foot, slowly beginning to mobilise it. You continue to wear the footshell at night, which prevents interior rotation of the foot when you lie on your back or on your side. This prevents the ligaments tearing again during the night. 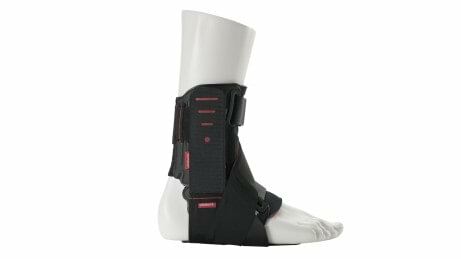 The tissue maturation phase begins around day 29, so that you can wear the Malleo TriStep without the stabilisation strap and footshell depending on the indication. This is intended to improve stability and mobility as well as coordination and balance. After the end of this phase, you can continue to wear the orthosis to prevent re-injuring your ankle ligaments. The Malleo Move exercise programme was developed especially in order to support the healing process after a ligament injury. It provides practical exercises which you can easily perform at home, respectively tailored to the three healing phases. Depending on the phase, you practice your balance or work on targeted strength training. In any case, it is important to consult your doctor before beginning these exercises. Make sure you know what healing phase you are currently in, and ask how much you can exercise your foot and whether you are correctly performing the exercises shown. You will find the exercise programme in our download area under information for users.